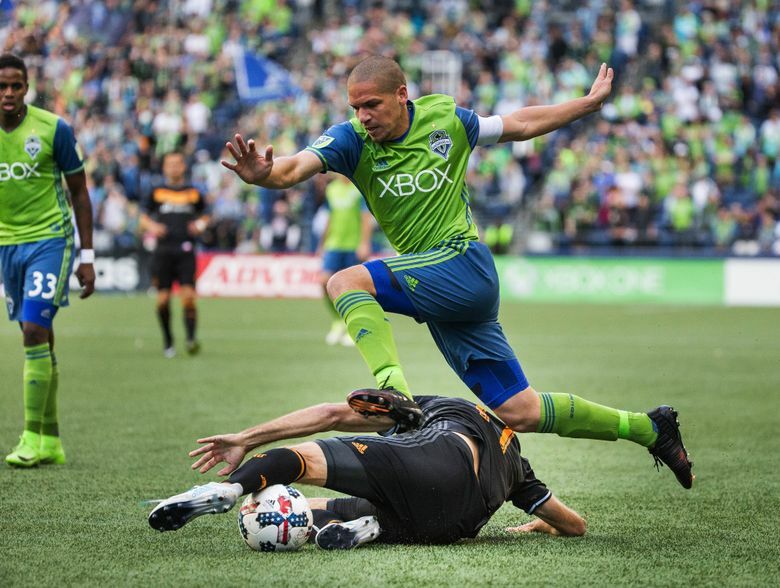 Sounders midfielder Osvaldo Alonso hasn’t played since suffering a July 4 knee injury at Colorado, but he’s back in the lineup Sunday night against visiting Minnesota United FC. The addition of Alonso should further bolster a Sounders defensive side that has not allowed a goal in a club record 400 minutes. In an interesting twist, the team is pairing Alonso in the defensive midfield with Gustav Svensson, allowing Cristian Roldan to move up and join the attack. That, in turn, has pushed Will Bruin to the bench in-place of Jordan Morris, who moves on back up to the striker spot. The Sounders have had a lot of success with Bruin up high as of late, unbeaten in their last eight games. But the Sounders do view Morris as their long-term striker. Also, the team has a mid-week game in Vancouver against the Whitecaps, so some squad rotation is undoubtedly at play as well.